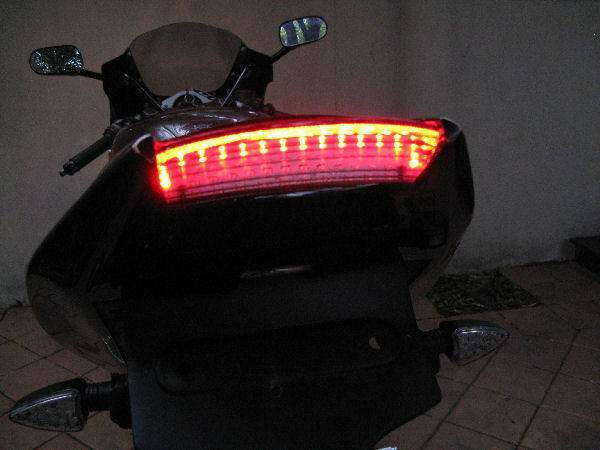 The brakelight used in the CBR250 Tyga fairing kits is simply not bright enough. Why have a nice fairing kit, with such a weak brakelight. Ecliptech have developed an upgrade module. There is a massive difference. Pictures below show sided by side comparison. These aren’t overexposed images, but real pictures showing the difference… on a bike, in DAYLIGHT. The top two show the Tyga brakelight, brake off, brake on. 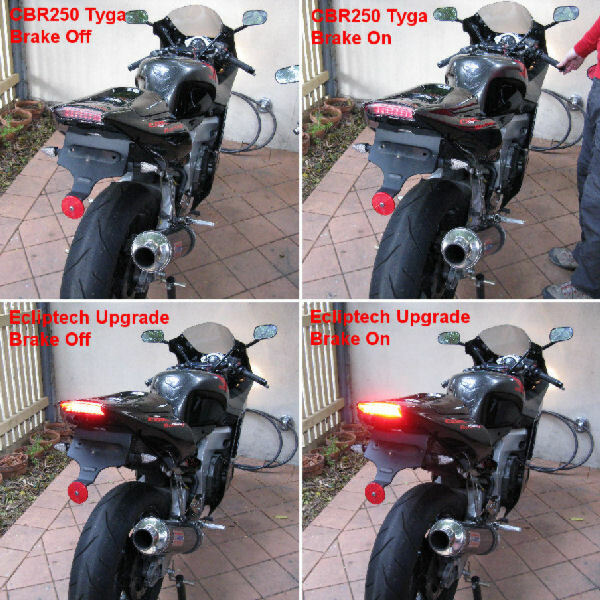 The bottom two show the Ecliptech upgraded brakelight. 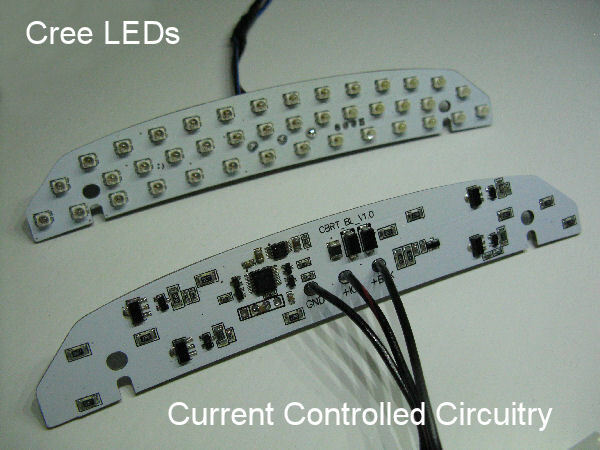 The new brakelight module has 6 modes. Full, Ring, Top line, Triple Line, Double Line, Single Line. You can select which mode you want, by turning ignition on and immediately flashing the brakelight 6 times. You can also change the brakelight brightness between Low/Medium/High. Below shows the Top Line Mode. (All LEDs on when brake on). UPDATE: No DIY kits are currently available. The last few have been fitted to second hand Tyga brakelight lenses and made available in the webstore. 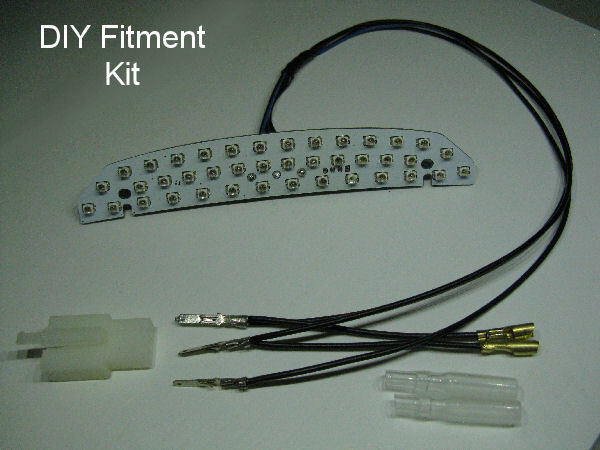 The fitment kit is pictured below. 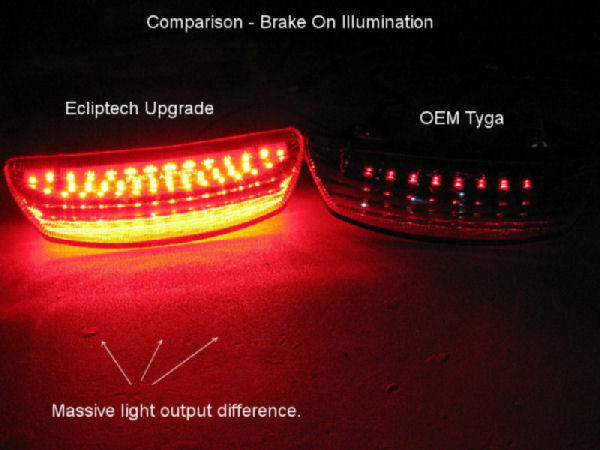 Disclaimer: This upgrade will not make your brakelight ADR compliant. Certainly closer to it and a lot safer for the rider – YOU. The upgrade is a permanent modification.